The All Card is the official identification card for NKU. It is imprinted with a student’s photograph and an assigned ID number. The All Card allows students to be recognized as members of the university community. It also enables them to enjoy discounts and gain access to services and activities throughout campus. All Cards are automatically activated each semester for the duration of a student’s attendance. New students should visit the All Card office after classes begin to receive an ID card. Lost or stolen All Cards should immediately be reported to the All Card office. Students can add money to their All Card and enjoy convenience and savings at campus dining locations (six percent discount) and copiers (50 percent discount). Students can also use this account to make purchases at the NKU bookstore, drink and snack vending machines, The BB&T Arena concessions, and the Votruba Student Union game room. The All Card can also be used to pay for computer lab printing, NKU parking permits and fines, Health, Counseling and Student Wellness, Norse Tech Bar in University Center, and Steely Library fines, SOTA Fine Arts Box Office and more. More information is available online (https://inside.nku.edu/allcard.html). The NKU Alumni Association provides a wide range of opportunities for alumni to stay connected after graduation. All graduates of NKU are members of the NKU Alumni Association. The Alumni Association has a 24-member alumni volunteer board called the Alumni Council, which, in conjunction with the Alumni Relations Office, assists in planning events both locally and throughout the country to engage alumni with each other and with NKU. Free subscription to NKU Magazine, our award-winning alumni magazine published quarterly and distributed to more than 50,000 alumni around the globe. Invitations to alumni events including the Alumni Awards Celebration, Alumni Weekend, and other special events. Opportunity to take advantage of services provided by Career Services. 10 percent discount on many items in the NKU Bookstore, excluding textbooks and computers. 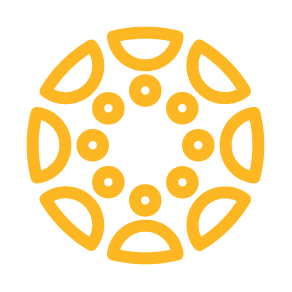 15 percent discount on courses offered through NKU Community Connections. Use of the NKU library including borrowing privileges. Access to Ref Works at Steely Library. Gift mailed to baby Norse upon receipt of a birth announcement. Campus Recreation Center membership at discounted alumni rate. Discounted insurance through Liberty Mutual Insurance. Affordable short-term health insurance while job-hunting or waiting for new employee benefits to begin through GradMed. International travel program through Alumni Holidays and GO NEXT. Opportunity to join Norse Athletics Kids Club. The university offers a variety of arts and cultural opportunities throughout the year. Many are open to nonstudents as well as to students. Some activities are sponsored by the Activities Programming Board, which is described in the Student Union and Programming section. Other activities are sponsored by various departments across campus. NKU’s two art galleries exhibit art by regional, national, and international artists, as well as work created by visual arts faculty and students. The galleries, located in the Fine Arts Center, engage in outreach programs and experimental projects and provide a forum for traditionally underrepresented individuals to display their work for the community. There is no fee to visit the galleries. For more information about the galleries and for an exhibition schedule, visit the web (http://art.nku.edu/galleries). BB&T Arena is Northern Kentucky’s premier special-events facility. It is home to NKU’s men’s and women’s basketball teams and features first-class concerts, family shows, and a wide variety of sporting events. For information on the events’ schedule and tickets, visit the web (http://www.thebbtarena.com/). The College of Informatics’ George and Ellen Rieveschl Digitorium, located in Griffin Hall, is an exciting place for classes, live performances, and events, all enhanced by advanced digital technology. With retractable and flexible floor seating facing a floor-to-ceiling digital media wall, and a second level ringed with multipurpose “opera boxes,” the digitorium has the capacity to transport audiences to new experiences, even new worlds. It is a unique place where innovative performances and multiple emerging digital technologies are integrated in novel ways to produce stunning results. As the synthesis of a digital opera house, global command center, trading floor, theatre, and auditorium, it can host any type of public event, from individual speaking to collaborative group activities; from digitally-mediated human performances to complex, real-time simulations. Pictures of the digitorium, as well as information about reserving the digitorium can be found on the web (http://inside.nku.edu/informatics/griffinhall.html). The Department of English, often in conjunction with other campus organizations, sponsors literary events featuring readings from outstanding writers in the fields of fiction, creative nonfiction, and poetry. The literary events celebrate diverse voices from contemporary writers. Events are open to the public and the student body. For more information, contact P. Andrew Miller (millera@nku.edu), coordinator of creative writing, or Kelly Moffett (moffettk1@nku.edu), chair of events and community outreach. The Friends of Steely Library maintains a regular schedule of author appearances. These include poetry and book readings by prominent authors and poets as well as other literary and art-themed events. More information is available online (http://friendsofsteely.nku.edu). The planetarium, located in the Herrmann Science Center 409 has free showings every Monday during the spring and fall semesters at noon, and on special Friday evenings and Saturdays that offer a chance to learn about topics on and off the earth. Visitors travel through time and space to look at the formation of the moon, a future solar eclipse in the area, ancient monuments around the world, or a cave in Kentucky. The website (http://inside.nku.edu/artsci/departments/pget/planetarium.html) provides program information and a calendar of events. Located in Landrum Academic Center 200, the museum’s collections focus on (1) contemporary arts of Native Americans, (2) contemporary ethnographic and folk arts of world cultures, especially those of Latin America, Africa, Southeast Asia, and New Guinea, and (3) the archaeology of Northern Kentucky and the middle Ohio Valley. The museum provides outreach through displays, exhibitions, public lectures and occasional film series, tours including K-12 outreach, and other specifically designed educational programs for groups of all ages. More information is available online (http://map.nku.edu/html/FAC_2016050964962.html). NKU offers a variety of exciting and creative musical performances from NKU students, area musicians, and professional musicians. Details about scheduled performances can be found online (http://artscience.nku.edu/departments/music/concerts.html). The Eva G. Farris Reading Room gallery in the W. Frank Steely Library presents an ongoing series of art displays representing the work of faculty, students, and local artists from the northern Kentucky region. Information on the exhibits can be found on the library’s website (http://inside.nku.edu/library.html). The Sehnert Lecture Series is an annual event held each fall. The NKU Department of Mathematics and Statistics invites a nationally known mathematician or statistician to give a general audience lecture on a mathematical science theme. For more information call 859-572-5377 or email math@nku.edu. During the fall and spring semesters, the NKU Department of Theatre and Dance presents six to eight productions in the NKU Corbett Theatre and the Robert and Rosemary Stauss Theatre. Shows presented range from classics of dramatic literature to contemporary comedy, drama, and musicals. The Department of Theatre and Dance also offers dance performances during the year. Information about performances is available online (http://artscience.nku.edu/departments/theatre/boxoffice.html). The intercollegiate athletics program provides a natural extension of secondary school programs, offering skilled student-athletes the opportunity to continue their educational and athletics experiences beyond high school. Membership in the National Collegiate Athletic Association Division I and the Horizon League and adherence to the governing philosophies and regulations of these bodies provide a framework for implementing the mission of the department. The strategic initiative is to position intercollegiate athletics to compete at the highest level of NCAA Division I and in the Horizon League. NKU sponsors intercollegiate competition in 17 varsity sports, eight for men (baseball, basketball, cross country, golf, indoor and outdoor track & field, soccer, and tennis) and nine for women (basketball, cross country, golf, indoor and outdoor track and field, soccer, softball, tennis, and volleyball). In addition, the department has a student-athletic training program, co-ed cheerleading team, dance team and a pep band. It also offers numerous student employment opportunities. Athletics facilities include the NKU Soccer Complex, the Bill Aker Baseball Complex at Friendship Field, the Joyce E. Yeager Tennis Complex, the Frank Ignatius Grein Softball Field, Regents Hall, and the BB&T Arena. The BB&T Arena is a 9,400-seat venue, which features the Thomas J. Kearns Student-Athlete Academic Center, film viewing/study rooms, and a strength and conditioning area for NKU’s 225 student-athletes. NKU and Transit Authority of Northern Kentucky, the northern Kentucky bus service, have partnered to establish the U-Pass program, which provides NKU students, faculty, and staff with free transportation on all TANK routes. The U-Pass program includes all TANK buses - including the Southbank Shuttle - and riding is unlimited. There are no forms to fill out and no paperwork to sign. NKU users just swipe their valid NKU All Card upon boarding and ride any route in the TANK system for free. The bus can be used to ride to class, go shopping, visit friends, or for any other purpose where the NKU rider needs transportation. The U-Pass program applies only to Kentucky and does not affect rates on the Ohio side of the river. Students can obtain additional information by calling 859-331-TANK (8265) or visiting the web (http://www.tankbus.org/learn/rider-information/college-u-pass). Our mission is to enhance student and university community success by advocating and providing inclusive, developmental opportunities that promote student engagement, lifelong learning and healthy behaviors. Recreation facilities and programs add greatly to the NKU experience. A valid NKU All Card is all that is needed to get started. All registered NKU students are automatically members of the Campus Recreation Center and may also purchase supplemental or family recreation center memberships. The Campus Recreation Center, intramural field complex, and sand volleyball courts are the places to be for fitness, sports, and socializing day or night. Whether it’s playing basketball, running on a treadmill, kicking a soccer ball, or taking laps in the pool, there is something for everyone. The Campus Recreation Center is open seven days a week so students can work out before or after class, as well as on the weekends. Students can play on intramural sports teams, relieve stress with a yoga class in the Norse fitness program, climb on the bouldering wall, join sports club teams as they compete and travel to other schools and achieve fitness goals by working with a personal trainer. Please refer to the website for more information (http://inside.nku.edu/campusrec.html). Campus Recreation is the largest employer on campus with over 120 student employees. Students can learn valuable career skills such as customer service, leadership, and time management, and earn extra money by working for Campus Recreation. Please refer to our website for more information regarding student employment opportunities. Aquatics Center with 8-lane competition pool, dive well, active shallow water area, warm water pool & sauna. Pavilion - Sheltered pavilion with picnic tables and restrooms. Intramural field complex - Two turf sport fields with lights and a pavilion. This complex can accommodate sports such as football, soccer, softball, ultimate frisbee, and more. Team Building Course - The Team Building Course aims to help groups reach their goals through a variety of activities, which focus on goals and objectives. Facilitators are trained to safely lead groups through various programs, help them debrief the experience, and form connections between the experience and everyday life. Intramural Sports - Have fun and make friends while playing intramural sports! With over 25 tournaments and leagues each year, there is something for everyone: Basketball, Flag Football Softball, Soccer (indoor, outdoor, futsal & 3v3), Volleyball (sand & indoor), Floor Hockey, Dodge Ball, Wiffleball, Corn Hole, Spikeball, Texas Hold ‘em, NFL Combine, InnerTube Water Polo, Rock/Paper/Scissors, Bench-press Challenge, Ultimate Frisbee, Home Run Derby/Hit Challenge, Tennis, 3pt/Free-throw Competition and more! Norse Fitness - Get fit and have a blast! From Zumba to Yoga, the Norse fitness program offers something for everyone. Group fitness classes are a great way to change up your workout and meet new people. Classes which range from 30 to 50 minutes include the following: TRX, Cycling, Kickboxing, Pilates, Yoga, Boot Camp, Zumba, Body Sculpt, Butts & Guts, Abs Xpress, and more! Sport Clubs - Get Involved! Want to compete on a higher level? Try out one of the numerous sport clubs: Men’s and Women’s Basketball, Bassmasters, Bowling, Equestrian, Wrestling, ESports, Hiking, Men’s and Women’s Lacrosse, Men’s and Women’s Soccer, Tennis, Taekwondo, Ultimate Frisbee, Vertical Frontier Climbing Wall, Women’s Volleyball and Wrestling. Want something new…start your own club! Personal Training - Don’t know where to start…we’ll show you the way! The Department of Campus Recreation has personal trainers prepared to help you get more out of your workout time. Learn effective techniques and reach your fitness goals. Aquatics - The aquatics program offers open lap swim as well as ‘Learn to Swim’ programs. The ‘Learn to Swim’ program has parent-child aquatics with progressive levels of instruction designed to help swimmers of all ages learn stroke techniques and personal water safety skills. These are offered as group lessons with a maximum 7:1 student/instructor ratio. Private lessons are available upon request for all ages and provide one-on-one instruction that is catered to the participant’s skill level. Learn about yourself, explore career options, make career decisions, and put your plans into action. Career Services offers an integrated program of services that emphasize the developmental nature of career decision-making: self-exploration, world-of-work preparation, job-search skill development, and career-transition assistance. These services are available to NKU students and alumni and may include career advising, resume assistance, job-search coaching, and interview preparation. Numerous online resources are provided through the Career Services website, including the HireNKU job and employer database and the FOCUS 2 career planning tool. Career Services also offers the EDU 294 (formerly CEP 101 ) career development course for students who are undecided about their major or career choice. Career Services is the university’s liaison to area corporations and organizations, inviting these employers for on-campus interviews, career fairs, information sessions, and other events. Employers are encouraged to post co-op, internship, and full-time positions to the HireNKU job and employer database. Career Services also coordinates the Cooperative Education program (CEP 300 ) on the NKU campus. Co-op integrates classroom learning with paid, real-life work experience in a related field. Enhance and expand opportunities for co-curricular student engagement. Create, coordinate and sustain retention programs that foster student success for underrepresented student populations. Collaborate with other university associates and offices to create a climate where all students are acknowledged, welcomed and valued; implement best practices in the areas of inclusive excellence and diversity; and help prepare students for an increasingly diverse and global society. Department Coordinator: Anthony Mize, Jr. Established in 1993, the mission of African American Programs & Services (AAP&S) is to facilitate a support system which advocates academic excellence, celebrates African/African American culture, and engages students with faculty, staff, and alumni. We provide opportunities that help students develop academically and socially by offering programs and services in self and cultural identity, leadership, career exploration, and community building. AAP&S provides opportunities for students to engage with faculty, staff and alumni, develop leadership skills, and celebrate African American culture. Students are encouraged to join AAP&S in celebrating African American Cultural Heritage through events such as Pre-Kwanzaa Celebration, Dr. Martin Luther King Jr. Commemoration Week, Black History Month, and Sherehe (afro-centric graduation celebration). Since 2003 AAP&S has sponsored NKU R.O.C.K.S. (Responsibility, Opportunity, Community, Knowledge and Success) a transition program which serves incoming African American first year students with support programming that aims to assist with building yearlong relationships with peer mentors, faculty, and staff. The program helps students to explore personal and institutional expectations of college and develop effective study habits and skills that will increase their potential for success. NKU R.O.C.K.S. also exposes students to the many valuable resources available on NKU’s campus and provides a comprehensive support system throughout students’ undergraduate experience. Through collaborative efforts with Disability Programs and Services, Latino Programs and Services, LGBTQ Programs and Services, and partners across the campus community AAP&S works to promote an inclusive environment for all members of the NKU community. We have also formed partnerships with middle schools and high schools across the region to help aspiring college students cultivate relationships with NKU’s campus and provide resources/programs to help students succeed through social involvement with current students. AAP&S has developed relationships with community organizations such as NAACP, The Urban League, and The YMCA of Greater Cincinnati. Disability Programs and Services provides access to academic and co-curricular programs through reasonable accommodations and student-centered assistance. The office operates in compliance with federal regulations to reduce or eliminate physical, academic, and attitudinal barriers for individuals with disabilities. In addition to reasonable accommodations, the office offers various services and support programs including: consultation about disability issues for faculty, staff, and students; individual academic advising; liaison with outside agencies; and assistive technology training. Students must be registered with Disability Programs and Services to receive reasonable academic accommodations. The Office of Latino Programs and Services coordinates academic, cultural, and social activities with the World Languages and Literatures Department, African American Programs and Services, Latino Institute for Excellence, and other departments. The office also offers a Latino Mentor Program Orientation, Latino Mentor Program (LAMP), Latino UNV 101 class, LAMP EDU 294 one-credit hour course, Latino Keynote Lecture Speaker Series, National Hispanic Heritage Month Calendar of Events, Latino Student Recognition Dinner, etc. Other services include scholarship and employment opportunities, leadership development, participation in three Latino organizations, and volunteer opportunities. The office has developed strong partnerships with Latino and non-Latino community organizations such as the English Language Learning Foundation, League of United Latin American Citizens, Su Casa Hispanic Center, Centro de Amistad, YMCA of Greater Cincinnati, the Behringer-Crawford Museum, Hispanic Chamber of Commerce Cincinnati USA, and many others. Part of these community outreach projects includes a high school Latino and English Language Learning Fun with Science Camp, and bilingual college fairs. The Office of Latino Programs and Services also serves as a consultant to businesses, K-12 educators and public service agencies and is a bilingual resource for NKU. The Office of LGBTQ Programs and Services promotes education, awareness, and advocacy for the lesbian, gay, bisexual, trans*, questioning, and ally community at NKU. LGBTQ Programs and Services coordinates the campus-wide Allied Zone Training program, Trans* Ally trainings, Speak Out trainings, several different workshops, and classroom presentations. Through collaborative efforts with African American Programs and Services, Latino Programs and Services, and Disability Programs and Services, and with partners across campus, we work to promote an inclusive environment for all members of the NKU community. LGBTQ Programs and Services provides programming during October’s LGBTQ History Month (including a celebration of National Coming Out Day, Ally Appreciation Day, and Asexual Awareness Week), Transgender Day of Remembrance, World AIDS Day, National Day of Silence, and Norse PRIDE Week. Social mixers and brown bag lunch conversations are coordinated monthly. The office is excited to announce that the Student Ambassador and Mentorship program began in the fall of 2014. Additional information is available on the office’s website (http://inside.nku.edu/lgbtq.html). The office has strong partnerships with numerous LGBTQ community and state organizations in Kentucky and Ohio and also serves as a consultant to businesses, K-12 educators, and community organizations. NKU dining services provides a variety of exciting dining experiences that are value-oriented for college students. The Votruba Student Union includes the Northern Fare Food Court as well as a full-service Starbucks. The food court includes seven stations serving a variety of food including Mexican options, sub sandwiches, burgers, pizza, soups, made-to-order salads, and Asian food. Coffee, sandwiches, and snack food are also available in a variety of locations on campus including Steely Library, Landrum Academic Center, and the Herrmann Science Center. Throughout the calendar year, the Early Childhood Center provides childcare for children ages one through five. The services are available for children of NKU students, staff, faculty and alumni. During June and July, the center also offers a summer enrichment program for children ages six through 14. The ECC is licensed through the state of Kentucky and STAR rated. Health, Counseling, and Student Wellness provides a variety of preventive and acute-care services to promote the physical and mental health of students. Registered nurses and nurse practitioners provide treatment for acute illnesses or injuries. Licensed mental health professionals provide assessment, diagnosis, and treatment for a variety of crisis, adjustment, relationship, and general mental health issues. Individual, couples, and group treatment options are available. Health, Counseling, and Student Wellness staff members are also available for educational programming addressing the mental and physical health needs of students. Faculty and staff are encouraged to consult with the staff regarding specific student needs. University Housing provides housing services for single students who live on campus during the school year. Unless qualifying for an exemption, new first-year students are required to live on campus. Please visit the website for exemption categories (http://inside.nku.edu/housing.html). Campus housing includes traditional residence hall rooms as well as apartment-style living and suite-style living. Lounge areas, information desks, computer labs, laundry rooms, vending areas, loft/study areas, and space for student recreation are available to students who live in the residential village. NKU can accommodate 2,000 students in on-campus housing. The Association of Campus Residents represents residential students to the Office of University Housing and to the Student Government Association. ACR serves as a sponsor of residential village events and reviews and recommends university policy changes. Housing costs and a virtual tour of all housing room types are posted online (http://inside.nku.edu/housing.html). One bill covers rent, utilities (electricity, water, and sewage), local phone service (Callahan Hall residents only), cable TV, and internet access. Students have the option to reside on campus for the academic year (fall and spring semesters), spring semester only, or during summer sessions. Location: Information desk on the second floor of the Votruba Student Union. The official Lost and Found is located at the information desk on the second floor of the Votruba Student Union. Items turned in at this location are retained until the end of each semester. As students begin to prepare for the transition to college, NKU has developed a comprehensive orientation program to assist all incoming students in cultivating their own individual support network at the university. Northern Exposure: Registration and Orientation is designed to foster an enduring connection between the students, their families and the NKU community. Through interactive experiences, students will become informed and skilled consumers of the academic programs, comprehensive services and engagement opportunities offered at NKU. While Northern Exposure is mandatory for all incoming students, we do have separate orientations for new first-time freshmen, post-traditional students, veterans and transfers. Monthly e-newsletters with important dates and deadlines, tips, relevant articles, and information regarding NKU events. Invitations to parent and family events including Family Weekend. Opportunities to meet and network with other NKU parents. Join NKU’s Parents Association today for free, and begin receiving the monthly e-newsletter. If you would like to join, visit the website (http://orientation.nku.edu/parents.html). The university has partnered with Rave to create Norse A!ert, which will contact members of the campus community through voice and text messages in the event of an emergency situation or campus closing. Students, faculty, and staff are encouraged to sign up for Norse A!ert. More information is available online (http://inside.nku.edu/norsealert.html). The Office of Student Conduct, Rights and Advocacy enforces the Code of Student Rights and Responsibilities, and oversees campus crises, students of concern, Title IX compliance related to students, and student advocacy services. In addition, the Office of Student Conduct, Rights and Advocacy coordinates the resolution of issues that arise between or among faculty, staff, and students through the administration of the student conduct and student grievance processes. This office is also the contact point for student advocacy when students have problems, issues, or concerns that have not been addressed through other avenues. The Code of Student Rights and Responsibilities is available on the web (http://inside.nku.edu/scra/information/students/rights-responsibilities.html). For information concerning the application of the Code, please visit the website or contact the Office of Student Conduct, Rights and Advocacy. 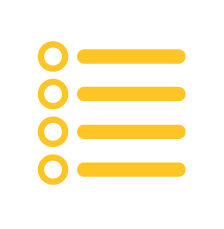 For a complete list of University policies and procedures go to the web (http://inside.nku.edu/policy.html). If you are a student who believes you have been or are the victim of sexual harassment, including sexual assault, sexual violence or other sexual misconduct, you may report such conduct or file a complaint on the web (http://inside.nku.edu/scra/report-incident.html) or in person with the Office of Student Conduct, Rights and Advocacy. Complaints of gender based discrimination related to students are addressed by the Code of Student Rights and Responsibilities. Federal and state laws, as well as University policy, prohibit the taking of retaliatory measures against any individual who files a complaint in good faith. The Norse Violence Prevention (NVP) Center promotes the vision of a violence free campus by engaging the NKU community in innovative prevention strategies and support-centered advocacy for students that have experienced sexual or gender-based violence. Come by NVP anytime 8:30-4:30pm in Student Union 304, M-F to speak confidentially with a staff person. There is no cost. You can share as little or as much as you want and we will listen and help you explore options and resources. If you need to speak to someone right away when we are not open, here are a few places you could call: Women’s Crisis Center (Kentucky)- 24-hour line, 1- 800.928.3335 or Women Helping Women (Ohio) - 24-hour line, (513) 872-9259. All students who operate and park a motor vehicle on the Highland Heights campus must properly display a current parking permit on their vehicle and must park their cars in appropriate parking areas. During the online registration period, a parking permit may be ordered via the parking services’ website (http://inside.nku.edu/parking.html). Three weeks prior to the start of classes, the permit will be mailed to the address indicated on the online registration form. After the online registration period ends, permits must be purchased at the parking services office located at the welcome center. The NKU University Police department is a service- and safety-oriented department with broad enforcement powers, dedicated to providing an atmosphere in which the mission of the university can be accomplished. Providing a safe and secure environment for NKU students, faculty, and staff is a top priority at NKU. The department operates 365 days a year, 24/7, and provides a full range of law enforcement services, including criminal investigations, accident investigations, and emergency services. Representatives of the department are actively involved in instructional and educational outreach. University police have jurisdiction over all university properties. Jurisdiction is extended to off-campus locations when requested by other law enforcement agencies. Pursuant to KRS 164.955 and 527.020 (3), police officers of NKU are authorized to carry firearms at all times within the commonwealth of Kentucky. Call boxes are strategically located throughout campus for students, faculty, and staff to summon assistance from the university police department. In addition, during an emergency, the university police can be reached by dialing 911 on a university phone. All 911 calls made on a cell phone will go to police agencies closest to the cell tower used by the caller’s phone. Callers should let the 911 operator know the emergency is located on NKU’s campus. Violations of university regulations are reported to the university’s chief judicial officer for further action. Individuals arrested for violations of law are transported to the Campbell County Detention Center for booking. University Police reports statistical information monthly to the U.S. Department of Justice and the Kentucky State Police. Each report includes the number and types of crimes committed. A report from the previous academic year is available online (http://police.nku.edu). The Office of the University Registrar also handles course registration; assists transfer students with enrollment in prerequisite and co-requisite classes; processes enrollment for all incoming and outgoing students who are enrolling through the Greater Cincinnati Collegiate Connection; processes graduation applications; handles enrollment and processing of benefits for veterans and their dependents; handles enrollment verification for any purpose; is responsible for maintaining and issuing official NKU transcripts; and processes and awards credit for CLEP, DSST, IB, Portfolio, ACE, and military and Department of Defense-approved institution attendance. The Division of Student Affairs promotes student success through transformational co-curricular programs and services that inspire and prepare students to be productive global citizens. An array of programs, services, activities, and facilities are provided to promote academic achievement, student involvement, personal awareness, social and interpersonal development, leadership, and responsible citizenship. The vice president for student affairs provides administrative leadership for the division. The division is organized into two units: student development and student services. The Student Government Association is an elected, representative student assembly. It is the official student organization representing the collective viewpoint of the student body on university policy or action. Besides serving as a liaison to the university’s administration, SGA works to promote a more meaningful university experience. It initiates and implements student-oriented programs and awards several student scholarships and book/special-needs grants. SGA is composed of three distinct branches: the executive cabinet includes the president, vice president, secretary of public relations, secretary of administration, and secretary of student involvement; the legislative branch includes the student senate composed of 30 senators; and the judicial branch is composed of five judicial council members. The SGA president is a member of the university’s Board of Regents, which is the governing board for the entire university. Legislative powers of student government are vested in the student senate. Members of SGA’s cabinet and student senate represent students on several university committees. SGA elections are held during the fall and spring semesters of each academic year. The assembly meets Mondays at 3:30 p.m.in Votruba Student Union 104, and all meetings are open for students to attend. The Office of Student Engagement assists students as they link their academic work to real-world pursuits. NKU students can learn, practice, and hone their leadership skills by taking advantage of the Northern Kentucky Leadership Institute and the more than 200 student organizations available at the university. Students can connect with other students who share similar interests, spirituality, or political causes. Students who get involved find better jobs, earn better grades, and are more likely to graduate. Moreover, they are more satisfied with their college experience. The Office of Student Engagement serves as the coordinating office for the many activities and registered student organizations on campus, including those described here. Northern Kentucky Leadership Institute is the umbrella group of the three organizations that provide leadership programming for all NKU students - Norse Leadership Society, Freshmen Service Leadership Committee, and Leadership Mentors. NKLI also produces Leadership University for students interested in developing personal and professional skills independently. More information about the Northern Kentucky Leadership Institute, its programming, and the organizations is available in the Votruba Student Union room 329. Norse Leadership Society is recognized by students, faculty, and staff as the premier leadership organization on campus. NLS is composed of outstanding student leaders with at least sophomore status. Members come from different backgrounds and display tremendous pride in the university. Most NLS members are also leaders in other student organizations and in the community. NLS provides programs and activities that will cultivate a broad base of leadership and developmental skills either independently or through association with other local organizations. Notable events held by NLS are the fall retreat, Fresh Start, the Presidents Academy, and Catalyst. For more information contact the Office of Student Engagement, third floor of the Votruba Student Union. The Freshman Service Leadership Committee is a student organization dedicated to the development of freshmen as leaders through service. Members can be seen throughout campus, working fundraisers for one of their upcoming events or showing off their skills at NKU’s Service on Saturday. While attending FSLC meetings, students are given the opportunity to test their leadership skills, and learn more about being an effective leader through serving others. Members can be elected to an office on the executive board. In addition, students can chair a committee that will focus on helping facilitate group functions, social activities, and community service projects. For more information, email studentlife@nku.edu. Leadership mentors are NKU students with advanced leadership skills working collaboratively with other NKU students to train local high school students for their future leadership roles. For more information, stop by the Northern Kentucky Leadership Institute or Student Engagement in the Student Involvement Center, third floor of the Votruba Student Union. For more information email studentlife@nku.edu. Student Media, which is housed in the Department of Communication, provides budgetary and advisory support to student-run media, including Norse Code Radio, where students broadcast music and commentary via the Internet and The Northerner, an independent, free weekly student newspaper distributed on and near NKU’s Highland Heights campus and an independent student news website. The Activities Programming Board is the official student programming body of the university, coordinating events such as drive-in movies, Pumpkin Bust, hypnotists, lectures, comedy shows, and other activities that provide relief from the day’s stresses and provides for a social atmosphere where students can interact in a casual and fun setting. Students who join APB have the exciting opportunity to select programs provided on campus and then manage the event. For students who want to be part of the planning or just participate in the activities, APB has something for everyone. The Activities Programming Board’s office is located in the Student Involvement Center, Votruba Student Union 327, and members can be reached by email (apb@nku.edu). 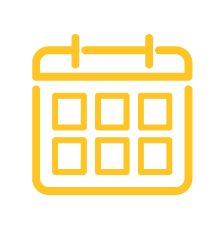 Activities available for NKU students are listed on the student engagement calendar available online (http://nku.orgsync.com/calendar). Homecoming at NKU takes place early in the spring semester, coinciding with an NKU basketball game. There are multiple events throughout Homecoming Week including the Nearly Naked Run, Talent Show, Canstruction, Gold & White Gala, Yell Like Hell, and the announcements of campus royalty. The student engagement calendar provides a list of times and places for all who want to be part of the fun. N3 is a newsletter published weekly by the Office of Student Engagement. It is delivered directly to students’ NKU email address to let them know what is happening on campus and in the community. Each edition includes information about important deadlines, campus activities, student organization events, volunteer opportunities, and co-op or internship opportunities that students will enjoy learning about and need to know. N3 provides up-to-date information that helps students connect with others and build their on-campus network. For more information, contact studentlife@nku.edu. There are over 200 registered student organizations at NKU. Current and prospective students can learn more about the organizations from the Student Engagement website. All students have access to the OrgSync portal through their NKU username and password. Students use OrgSync to interact with organizations, members, and other students online. Students can create an OrgSync profile by going to their website and selecting “Register,” then clicking on “Northern Kentucky University” and selecting “Register.” Students who complete account and profile information are set. It’s fast, free, and easy. To join an organization through OrgSync, students can visit http://www.orgsync.com, log on, and select “Join an Org,” then browse for organizations of interest to them. 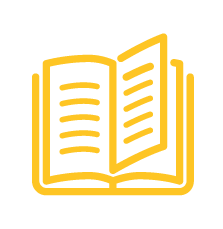 Through the OrgSync portal, NKU students can document both their academic and co-curricular work through the co-curricular transcript and the e-portfolio. Testing Services provides standardized and proctored examinations in a convenient and secure testing environment for the NKU community and region. Testing Services adheres to the standards set forth through the National College Testing Association. Tests offered include accomodated classroom exams, admissions tests, such as the National ACT, Residual ACT, and Accuplacer Admission Test for students aged 21 and older; Credit-by-Examination (CLEP, DSST, and CPLE); PRAXIS (Professional Assessments for Beginning Teachers), Informatics Competency Exams, Major Field Tests, and distance learning examinations. National certification and licensing exams are also available through Testing Services. In addition, admitted freshmen and transfer students who do not meet current Kentucky CPE testing standards are required to take placement test(s) in English, mathematics, and reading through Testing Services. Students must complete placement testing prior to attending their registration program or registering for classes. Registration for placement testing is available online. Students are encouraged to browse the Testing Services website for detailed information regarding each test, as well as to register and pay for each test offered. The University Center houses a variety of support services for students. Offices and services located in the University Center include: the bookstore; Norse Tech Bar; Norse Advising; Career Services; Health, Counseling, and Student Wellness; Veterans Resource Station; Office of First-Year Programs; Office of International Students and Scholars; Office of Education Abroad; International Education Center; Learning Assistance Programs; Student Achievement Programs and Services; Testing Services; University Connect and Persist; University Center information desk; and U.S. Bank banking center. Also included in the facility are several meeting rooms, a ballroom, lounge space, and the Otto M. Budig Theater. Room reservations for these areas can be made through Astra Schedule or by contacting Sarah Aikman at 859-572-1940, or aikmans1@nku.edu. The University Center information desk, located on the second floor main plaza level, provides information concerning campus events, building and office locations, and campus maps.